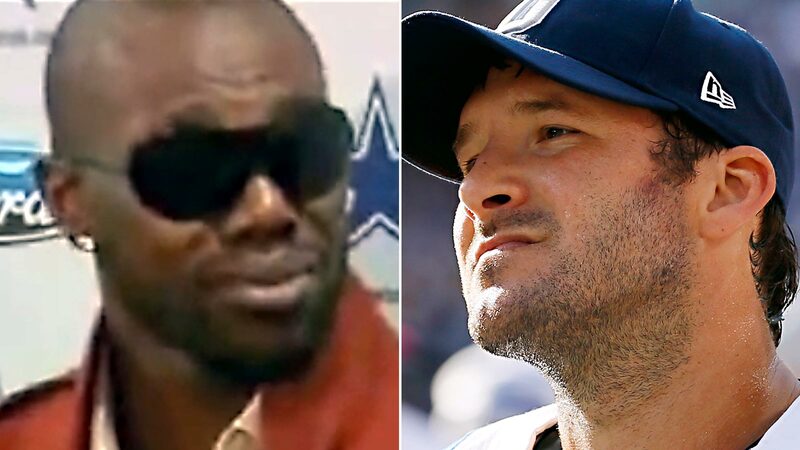 Former NFL wide receiver Terrell Owens’ best days are behind him, and he thinks Cowboys quarterback Tony Romo’s are as well. Romo underwent back surgery on Thursday and will not play against the Philadelphia Eagles on Sunday with the NFC East crown on the line. "I think if you’re looking at this situation — two back surgeries in two years — I don’t think we should expect any Peyton Manning magic from him," Owens told the NFL Network. "I think obviously he’s had his ups and downs as it is. You wish the best for him, but I think we’ve seen the best of him." The Cowboys have failed to earn a playoff spot the past two seasons needing a win in the final week of the regular season. Although many would believe their chances aren’t good this time without their franchise quarterback, Owens believes the Cowboys have a better shot with backup Kyle Orton. "My thing is with Romo is that he’s been inconsistent late in ballgames," he said. Owens knows firsthand what it’s like to play with Romo as a member of the Cowboys from 2006-08. Romo has become known for his late-game blunders that critics have said cost the Cowboys big wins throughout his career. "I think it honestly because, again, if you look at this situation, if it shakes out and if it’s a shootout — late in the game — everybody’s expecting Tony to throw (an) interception," Owens said. Owens is still a Romo fan, but he isn’t shedding any tears for him this season.